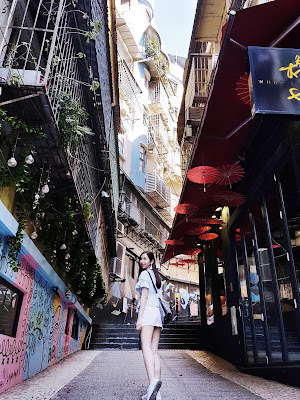 When I first had a glimpse at the proposed agenda, I really wasn't expecting much, but jeez... my first foray into Macao turned out to be a blast, made memorable by the company I was with. 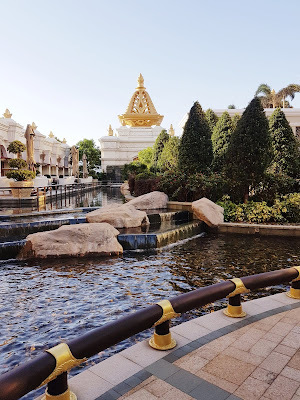 Of the many things that changed my perception of this tiny country, would be the amount of sheer wealth it beholds, from the grandeur hotel architectures to the number of Michelin Star restaurants. Hereinafter, I had one of the best hotel experiences here, not only at the one that I stayed at, but also the ones that I visited. It was a tiring excursion no doubt, having such a packed agenda to be completed in such a short time, but definitely fulfilling all in all. I had great fun. 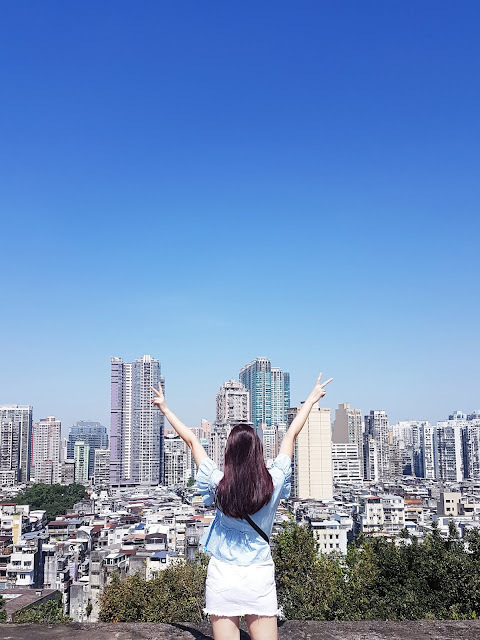 Here're some of the key highlights of my trip, from north to south of Macao City : 📍 Peninsula 澳门半岛 📍 Taipa 氹仔 📍 Cotai 路氹📍 Coloane 路环. Most places are connected through complimentary shuttles. Macao Tower was stunning - especially since this excursion was the first of my trip! From the sweeping views at the Observation Lounge in Level 58, to the Adventure Deck in Level 61, where the highest Bungy Jump in the World holds it's record, at 233 meters high. I dare you too! This UNESCO Heritage Site is probably one most photographed monument in Macao. There was no way I could get the pass throngs of tourist for a decent picture. 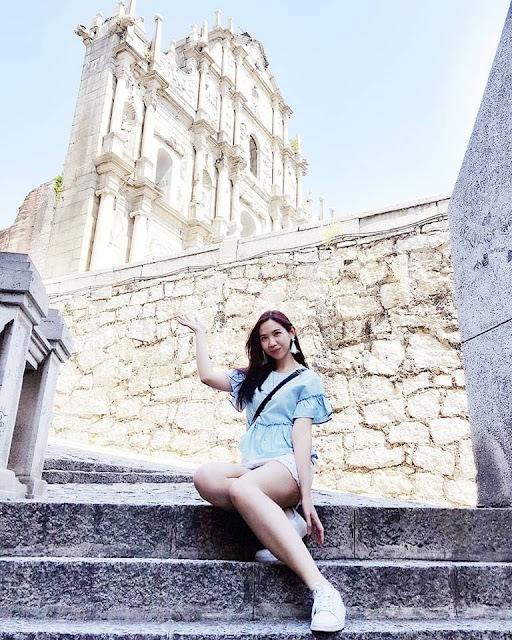 Pro-Tip : For a better picture, head over to Love Lane Macao 戀愛巷, located on the left-hand-side from the front of Ruin's Of St. Pauls. There, you will be able to capture a decent photograph, like the one below, alongside a row of colorful restored buildings. Great - for more pictures of course. A stone's throw away from Ruins of St. Paul's - Macao Museum 澳門博物馆, the biggest museum in Macao, where I got a first hand tour and history lesson of the country. Right at rooftop - Mount Fortress, a military defense structure, built the 1600's. I had a bird's eye view of the city from where I stood. One of the key highlights of my trip would be the "Fall Season Food Hunt 秋季美食", which kicked off smacked at the centre of the bustling Senado Square. 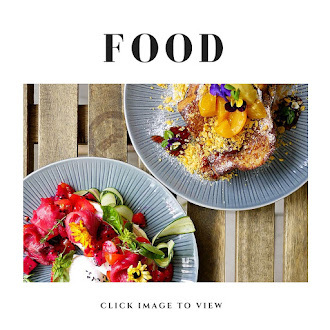 We were split into 2 teams of 3 members each, and was given MOP500 to spend, in an attempt to cover as many of the 13 restaurants listed on the eat list. My team managed to do a meager 6. 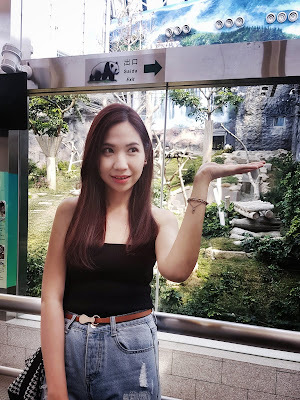 You can read all about my food adventure in Macao Here. 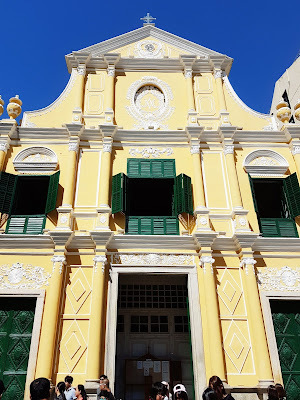 On a side note, Senado Square has been Macao's urban centre for centuries, and is still the most popular venue for public events and celebrations today. The square is surrounded by pastel colored neo-classical buildings, creating a consistent and harmonious Mediterranean atmosphere. The photograph below was taken at Patio De Chon Sao 俊秀围, few blocks away from Senado Square. Moving downwards to the south of Macao, is Taipa island, wherethe culturally rich Taipa Village is located. 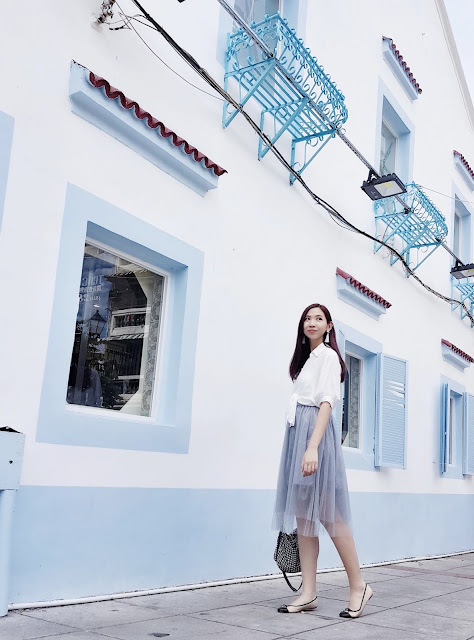 There, we got to explore Museum of Taipa and Coloane 路氹歷史館 and Carmo Hall 嘉模會堂, and also took a casual walk along the Taipa Houses Walking Trail. The trail features an inclined elevator, that took us to the observation deck of the Taipa Grande Hill. It was a peaceful sight. There's plenty to eat and see at Cunha Bazaar, from the colorful and colonial styled architectures, to the traditional restaurants and eateries. While I was there, I had lunch at one of the best Portuguese Restaurant to date, at La Famiglia 葡意之家. For the Portugese Tart enthusiasts, there's a Lord's Stow Bakery 安德鲁葡挞 there - with an evident long queue of course. 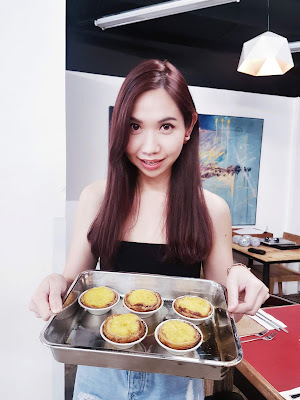 I love eating, not so much baking, but I did have fun making my own Portuguese Egg Tarts. 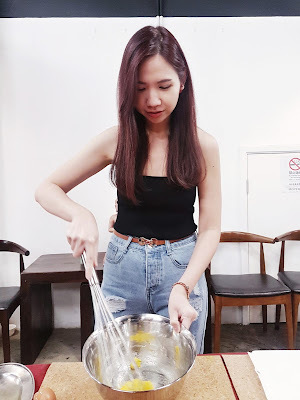 The baking class was essentially quite fast and straightforward. After a short demonstration by the chef, we were split into pairs and made our own Portuguese Egg Tarts, which we later devored. We went on to have a Portuguese feast here after our hard work. After having at least 4 different types of Portuguese Egg Tarts during the trip - I'd rather leave the baking to them. 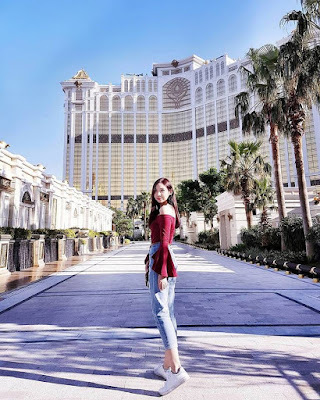 I had an elegant and exquisite experience at Hotel Okura Macao, a 5-star luxury Japanese-styled hotel, harmonizing 429 Guestrooms and 59 Suites, helmed under the Galaxy Macau Group, where I was upgraded and stayed at the Okura Suite, for 4 nights. Buffet Breakfast was provided daily at Terrace Restaurant, alongside Afternoon Tea and Evening Cocktail at the Okura Executive Lounge. Customer service and facilities were top-notch, I couldn't expect any better. Thank you for the amazing hospitality. 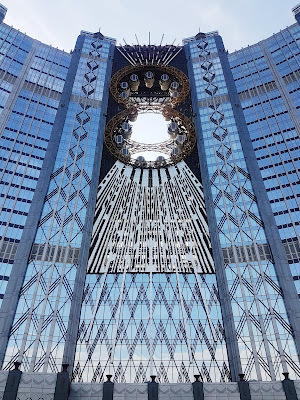 The extravagant hotel infrastructure in Macao is unlike any other. 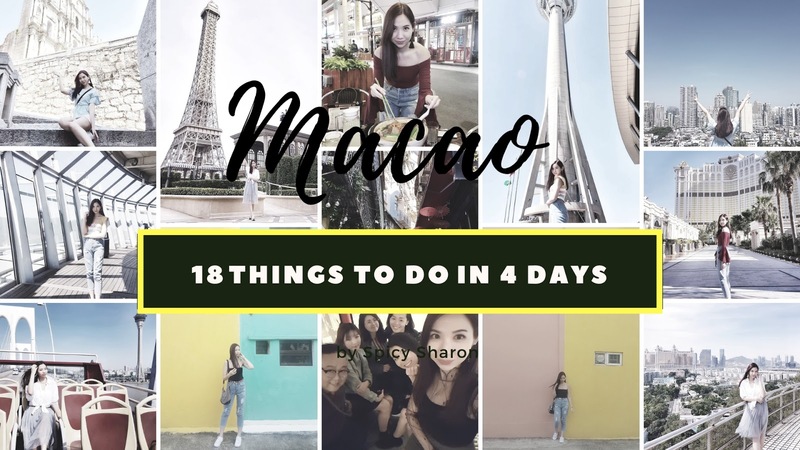 Do you know that Hotel Hopping in Macao is actually an activity here? When my friends told me that I have to - have to check out the pool here, I thought this would be another infinity pool - like experience. Little did I know, Macao's definition of a pool is a mini Sunway Lagoon! 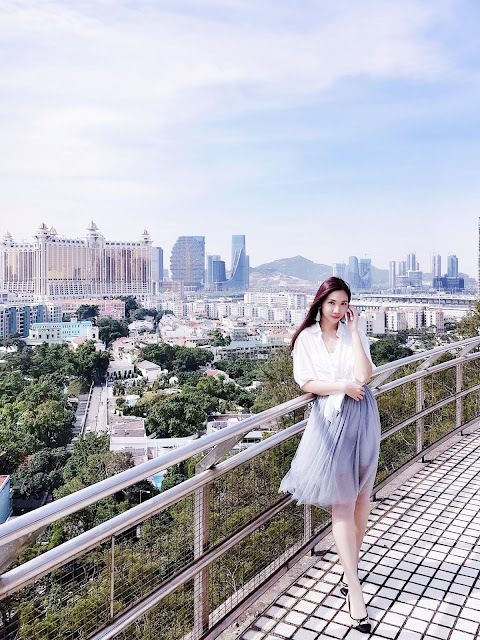 As part of my stay, I had access to the Grand Resort Deck, sprawling 75,000sq meters, boasting the world’s longest Skytop Aquatic Adventure River Ride at 575 meters and the world’s largest Skytop Wave Pool. The deck is connected to Galaxy Macao, Ritz Carlton Macao, Banyan Tree Macao and JW Mariott Macao. 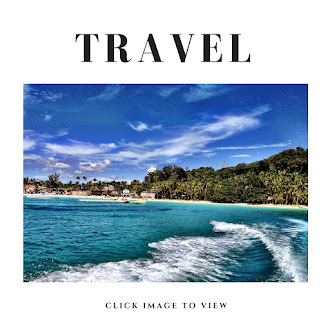 You can either stretch out on the 150m pristine white sand beach or feel the adrenaline rush on the vast assortment of water attractions that include waterslides, geysers, waterfalls and the kids’ aquatic zone. 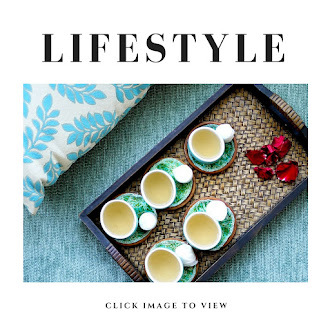 Escape to the unique Asian-themed Skytop Gardens and experience an extraordinary tranquillity, or enjoy alfresco dining with attentive service at poolside restaurants and lounges: Surf Bar, Breeze Café, Pool Bar at JW Marriott and Cabana at Banyan Tree Macao. Hop on the SkyCab! 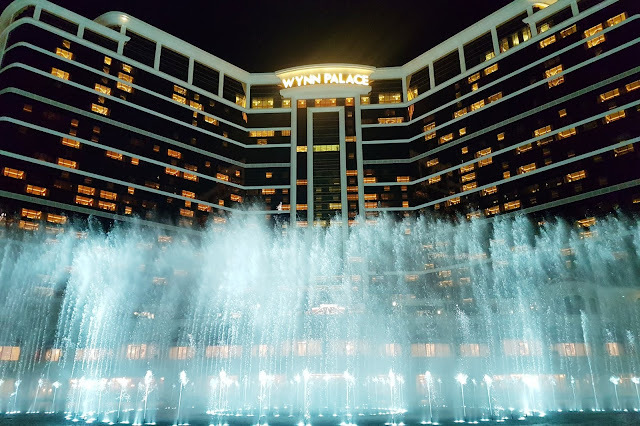 A 10-minute cable car ride that runs on a clockwise loop, taking you round the lake, right in front of Wynn Palace 永利皇宫 (not to be mistaken with Wynn Macao). A pretty extravagant setup from my humble opinion, though nothing short of Macao's standards. The ride seats six guests at once, and is complimentary for all, best enjoyed after the Performance Lake Show. 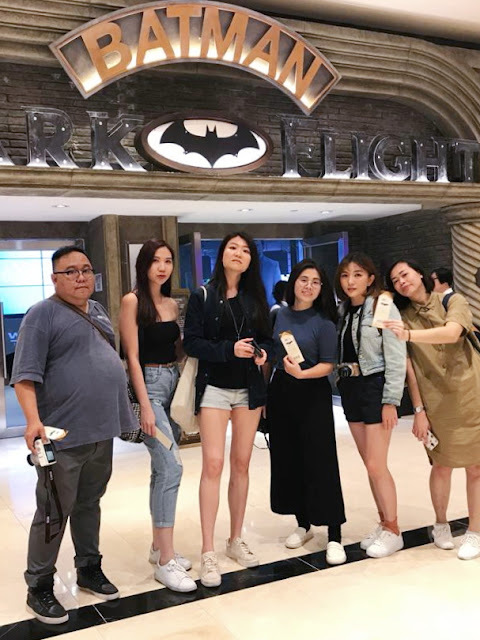 Sadly, due to the adverse weather conditions (Macao was on Typhoon 1 alert that eventful day), we were unable to access the towers, but we still made our way to the base of the towers, at level 7. We had tea at La Chine 巴黎軒 after that. It was a pleasant way to take a break. enjoy a picturesque view of Macao and Cotai Strip. Eiffel Tower lights up at dusk and is an ideal backdrop for photographs. 20 spectacular light shows are illustrated on Eiffel Tower each day. 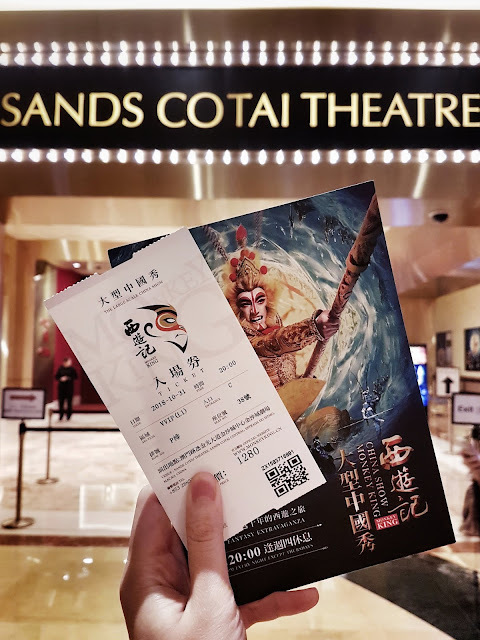 The China Show Monkey King was possibly one of the most expensive show I've seen, a performance based out of the famous Chinese Sun Wu Kong literature. The choreography and costumes were unlike any other. No photography allowed however. Suspended between the twin hotel towers of Studio City 新濠影汇, was the Golden Reel. At a height of 130 meters, this was the world’s first and Asia’s highest figure-8 Ferris wheel. For me, the ride looked incredible from the outside ; inside, it felt just like any other cable car ride, that goes in circling tracks. After all the panoramic rooftop views I've been to in the past couple of days, the 360" views from this ride weren't exactly breathtaking to say the least. Personal preference nevertheless. first flight simulation ride themed around DC Comics Super Hero “Batman". While this 4D motion ride may be short, 15-20 minutes at most, it was quite surreal and thrilling. For those with motion sickness - I do not recommend. 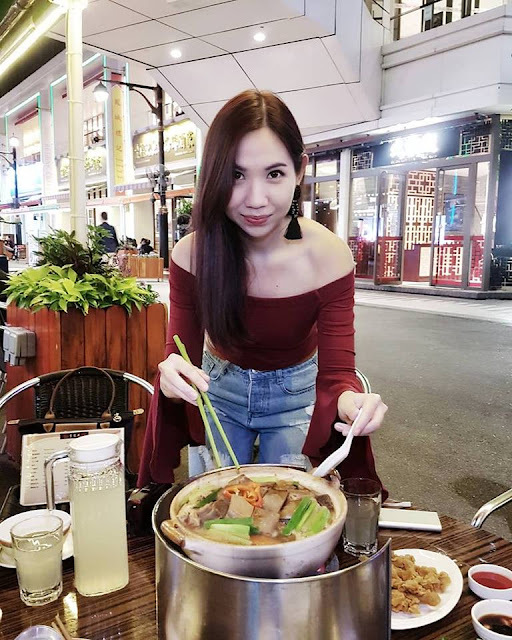 As part of the Broadway Macao Hotpot Sensations, an ongoing promotion running from 1 Oct 2018 to 28 Feb 2019, with over 60 hotpot restaurants on the list, I had dinner here at one of the evenings, at Lei Ka Choi 李家菜, a traditional Chinese hotpot restaurant. 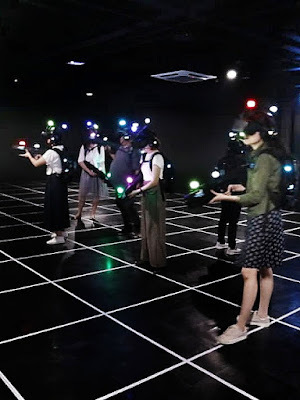 My first time playing VR and it was soooo fun, and at 200 meters, the arena was huge! This was probably the most entertaining part of my trip, and possibly the most memorable one too. We played a total of 2 games, at 15 minutes each. It was fun no doubt, but also physically challenging at the same time. I wouldn't mind going for another round! The camaraderie that we had was definitely something that I would remember for a long time. 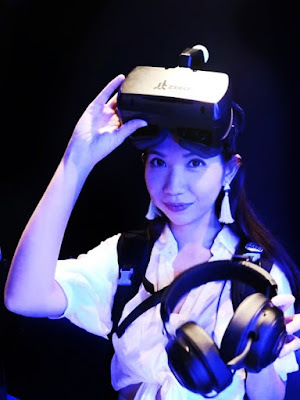 You can watch Willy's video of our VR experience Here. 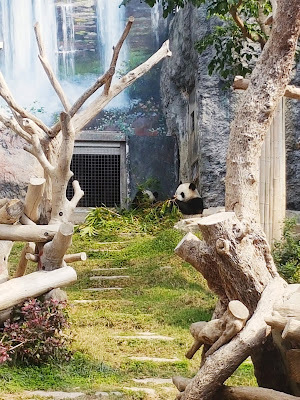 Why are you so cute Giant Pandas! Apart from the Pandas, we also saw the Red Panda, Flamingoe, Monkey, Birds - a little exotic like that. 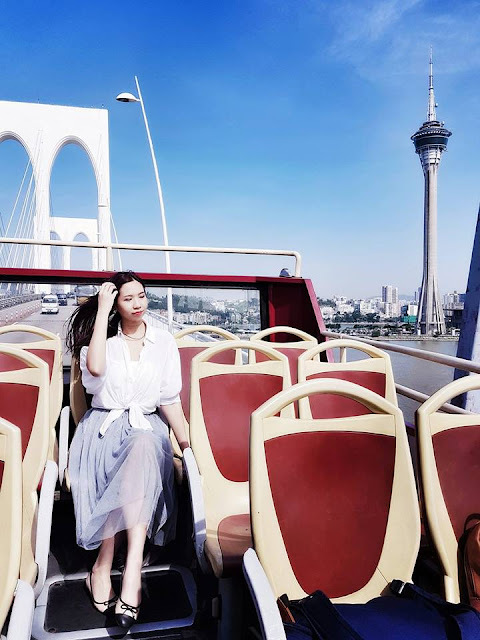 We had the opportunity to tour around Macao, on the Macao Open Top Bus Tour ride, which brought us pass some of Macao’s famous landmarks and World Heritage gems.